There are many external processes and factors that can act upon our metabolism. The subject of speeding or slowing down the metabolism has become a widely-discussed topic because of fitness trends and overall health concerns. Working out, eating different types of food and even consuming or refraining from ingesting certain supplements may either speed up or slow down our metabolism. Fasting, for example, is known to slow down the metabolism, while spicy food is said to do the opposite by raising the body temperature, acting on the sympathetic nervous system and making the person sweat. But, there has been a significant concern regarding the effects of light upon the metabolism, specifically because most people spend many hours in front of screens throughout the day. It is even possible that some people cease to see a screen only when they sleep. Much speculation has hovered the matter because exposure to light plays an important role in how an organism carries out its functions. This is true for plants, fungi, animals and of course, humans. A team of researchers from the Northwestern University has chosen to undertake the task of knowing whether light emanating from screens acts upon the human metabolism. It turns out that bright lights are indeed able to slow down the metabolism. The study stems from the fact that humans in modern society are constantly exposed to electric lighting. It is known that our internal clock has a major role in our metabolism, as hunger, sleep and alertness are regulated by it. Due to our biological background, the presence of sunlight has a significant effect on the aforementioned processes. One of the most significant factors within the human body that are affected by light are cortisol levels, which have a deep effect on how the body processes insulin. Due to all of this evidence, researchers had to find a feasible link between electric light exposure and significant changes in the metabolism. Past studies were able to prove that manipulating the amount of sunlight that a person receives in the morning has a direct relation to body fat and body weight levels. A more detailed study, involving lab rats, showed how constant light exposure can create a necessity for food intake during a rest period. But what most studies failed to do is measure light exposure during different times of the day. A previous research, also performed by scientists from Northwestern University, proved that people who are exposed to a significant amount of bright light in the morning were able to maintain a lesser body weight when compared to people who were exposed to a majority of light in the afternoon. Although the phenomenon was scientifically reviewed, there was no information regarding the cause. The eating habits of 19 healthy participants were monitored, along with their sleep schedule. Their work days and rest time were also recorded, and they were prohibited from taking energizing drinks or caffeine. All of their foods contained the same amount of calories, and the estimated amount of burnt calories was also noted. As the participants woke up, they were asked to assess their sleepiness and hunger levels. Each day a blood sample was taken and its levels of glucose, cortisol, leptin and insulin measured. Throughout the four days that the initial tests lasted, the participants were exposed to different levels of light, including blue-enriched light, which is the one that is emitted by smartphones and tablets. Different amounts of light exposure were applied along periods of 30 minutes to 10 hours after the participant had woken up. Meal ingestion took place when exposed to these varying levels of electronic light. Researchers compared events when the participants ate food in dim, intense or and blue light. Then, proceeded to compare the results that the subsequent bio-analysis processes yielded. The results showed that overall insulin resistance increased for most participants, which can be linked to higher sugar levels, which also were present during the analysis. Insulin was not able to reduce sugar levels after the participant had taken a meal while being exposed to bright lights. If the body is unable to process insulin, it can lead to major metabolic diseases such as Type-2 diabetes. It seems that people must refrain from being exposed to blue light at night while looking forward to getting a good amount of sunlight in the morning. 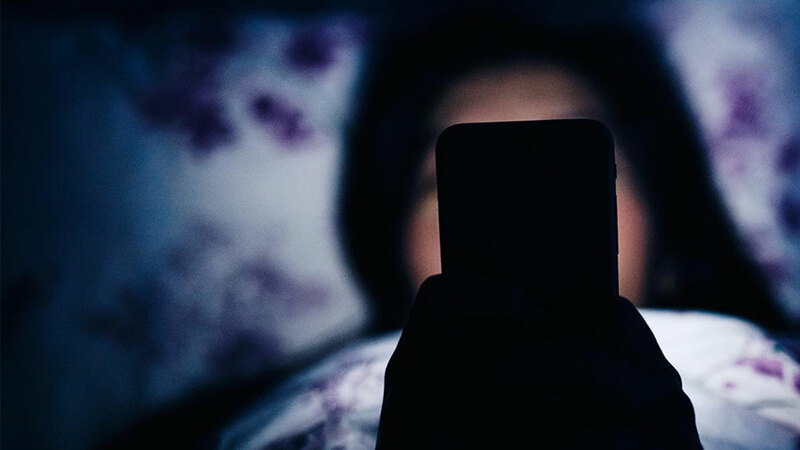 TV screens, smartphones, tablets, and other devices, all emit blue light which acts upon the human circadian rhythm, making it harder to complete metabolic tasks, mainly waking up, sleeping and feeling rested. An apparent solution is to reduce the brightness on the device’s screen, but this doesn’t change the fact that the user’s face is being bombarded with blue light on a daily basis. There’s is also an app called Night Shift, which apparently reduces the amount of blue light emitted by a compatible device. The user can choose to turn the filter ON or OFF through a notification and it reportedly helps the user to sleep at night. Most reviewers state that the app is indeed useful, but perhaps another study is required to see if it is possible to reduce the emanation of blue light from our everyday devices.